I just experienced a very wonderful, amazing Sai dream. 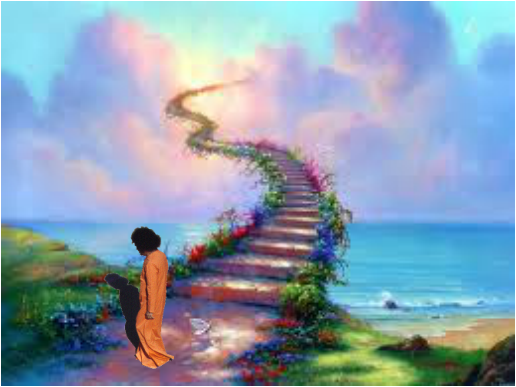 I recall being in front of our Lord Sai. There were throngs of people sitting around Him. He looked so young, beautiful and fresh. Swami bantered with us ( I don't remember what He said at that point). I kept thinking how alive He looked even though He had passed away just about 2 years ago. Someone next to me said, "you have a camera take a picture of Him. I fumbled trying to get my camera out of the case. When I finally got it out. I said, "Swami, Swami may I take Your picture." Swami looked at me very deeply and said, "No picture, no picture." He continued to look at me intensely with such a tender but strong gaze. As He stared into my eyes I thought very clearly and loudly in my mind. "Please Swami may I touch Your Feet?" 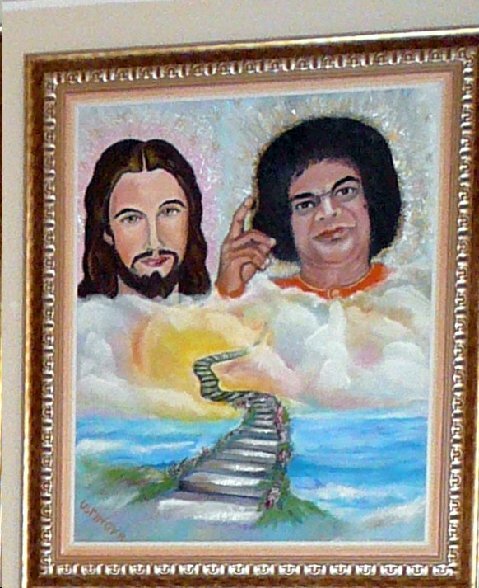 At that moment Swami responded in a booming voice with a Jamaican accent: "G'WAN MON!" Thrilled I bent down and clasped the Lotus Feet that supports the entire Cosmos, my head resting on those divine Cosmic pillows. 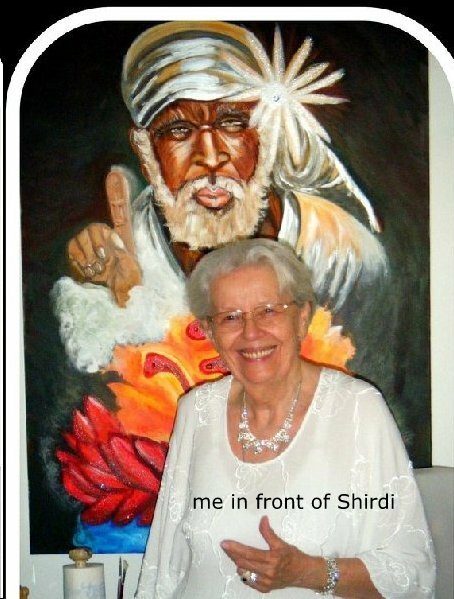 Waves of bliss pervaded my being ~ OM JAI SAI RAM! As I raised my head more thoughts galloped through my mind: He felt so solid and real, How could He feel so real after dying, but then He is God and nothing is impossible for Him. I wondered how incredible it would be when people realized He was back. After a while I thought: well I better clear my mind since He knows every thought I think. As I started doing this, I began waking up. I was so shocked when I woke up since the dream felt a zillion times more real than this waking state. O Sai Thank You, Thank You! Your Leelas are far beyond this mortal existence. Take me into Your glorious splendor forever! Dear Sonia ki , the timing of your email to me is simply awesome! The above is one of my paintings which I just gifted this past week Thursday to Pushpa's home in Northridge CA. She is from Shri Lanka, her home is full of miracles, as are others in the area. I delivered 3 gift canvasses , a Sai friend drove up to Northern CA, I live in the Sonoma Valley ca 500 miles from there , so we brought all of them down in his van . Pushpa built a special Puja house in the back of her home with incredible phenomena happening all the time. a 4 ft by 4 ft Ganesh canvass I painted for Bishan Katu from Shri Lanka' the real colors don't come through. if you'd like to see more , let me know!